When it comes to choosing your first home, the process is anything but a practice run. It may not be your forever home, but it’s important to consider that your first home will need to meet specific needs since you will be living there for some time and may even resell some day. This is partly why the right real estate agent is so essential to your first home search. After all, you won’t have the same kind of experience when looking for your first home, and you’ll need a real estate agent you can trust to find you a home that meets all your needs. 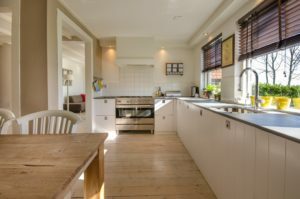 While your home needs are unique, there are a few common things that everyone should look for in their first home. Here are three must-haves to look for in your first home. To be sure you can avoid significant repairs, issues, and system inefficiencies, you’ll want to look for a home that has a good history of maintenance. Has this home been repeatedly winterized by previous owners? Has routine maintenance been done on the plumbing to avoid stubborn leaks and potential flooding issues? These questions can help you to determine how well the systems in your home operate and as well as gauge the likelihood of potential repairs. It’s the age-old saying in real estate: location, location, location. Don’t mistake the term “first home” for “temporary home.” The location of your first home is just as important as any other home. Consider the area, commute, and potential for future resale. Is the neighborhood well-maintained? A reliable real estate agent can even help you look a few years down the line to determine the right location for your first home, especially if you are one day hoping to resell and upgrade. Many of your considerations may boil down to cost. Between your home’s immediate tag price, taxes, and even the cost of energy bills, your budget should be a top consideration when searching for your first home. Be sure to come up with a realistic and firm budget before starting your home search. This step will also help your real estate agent to find you the perfect first home within your budget. This entry was posted on Friday, January 18th, 2019	at 5:00 pm	and is filed under Residential Sales	. You can follow any responses to this entry through the RSS 2.0	feed. Both comments and pings are currently closed.